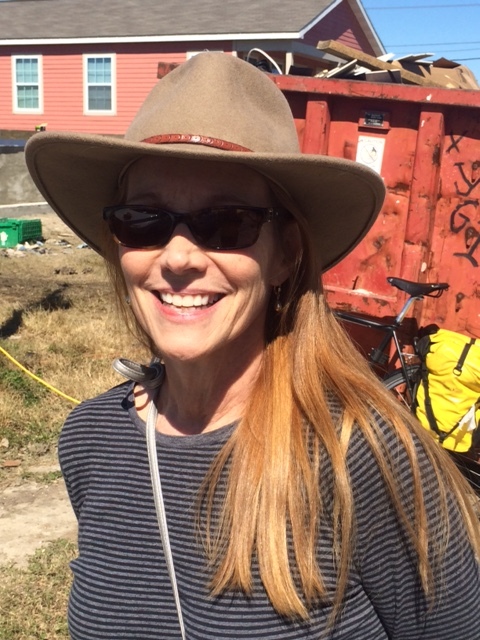 Profile Response: Marguerite Oestreicher, Habitat for Humanity, New Orleans, LA | How Will We Live Tomorrow? Last I was in New Orleans was a week during the winter of 2005 and again in 2006 to built houses at Musician’s Village, part of Hurricane Katrina reconstruction. Habitat for Humanity’s work there is long finished. All of the homes are complete, purchased, and occupied. The first years after the hurricane, HFH NOLA was the Crescent City’s largest homebuilder; it continues to be a major developer. Marguerite Oestreicher, Director of Advancement, invited me to HFH’s construction area on America Street in New Orleans East on a Saturday morning. 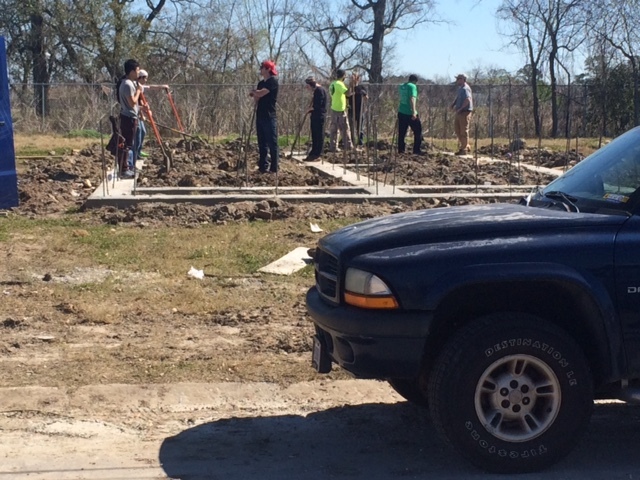 About a hundred people gathered on a half-dozen sites: a handful of HFH supervisors, AmeriCorps volunteers, weekend warriors from local colleges and volunteer fire departments, Marine regulars, as well as future homeowners, who must contribute at least 350 hours of volunteer service as part of their purchase agreement. 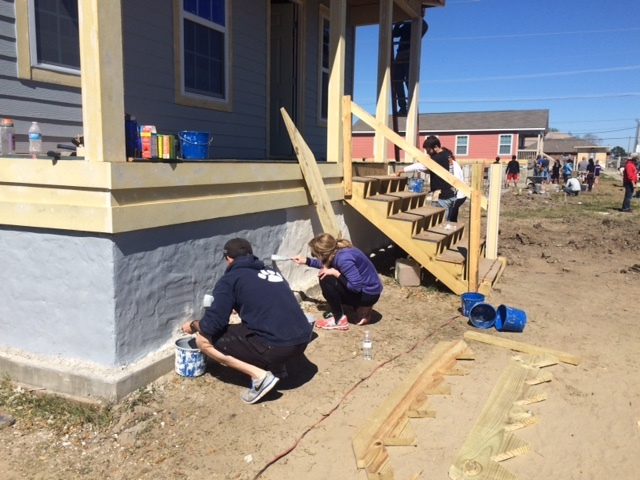 Groups were excavating trenches, installing foundations, attaching siding, and finish painting. As in any volunteer endeavor – as in any endeavor of any kind – some people worked diligently while others picked at their paintbrushes or leaned on their shovels. In sum, the energy was palpable; progress real. 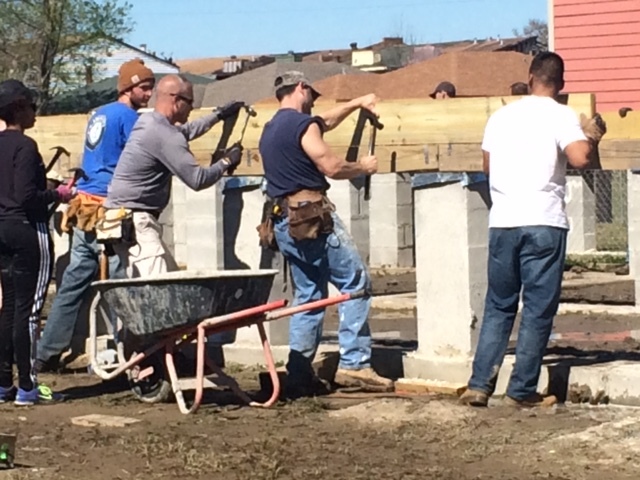 With so many buildable lots available, HFH NOLA has a backlog of houses waiting to be built. “We build 30 houses per year. We are one of the largest, though not the largest, Habitat for Humanity organizations. We like to build a group of houses together to create the halo effect. We initiate other community development. 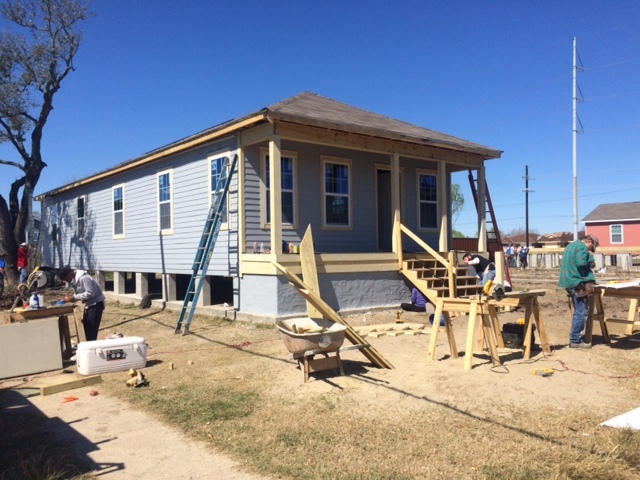 HFH NOLA builds an Energy Star equivalent three-bedroom house for $85,000. The homeowner needs $2500 in escrow, Habitat for Humanity carries the primary mortgage, and the buyer receives a soft second to make up the gap to market rate. This entry was posted in Responses and tagged America Street, Dan Cahoon, Habitat for Humanity, HFH NOLA, Hurricane Katrina, Marguerite Oestreicher, New Orleans LA. Bookmark the permalink.